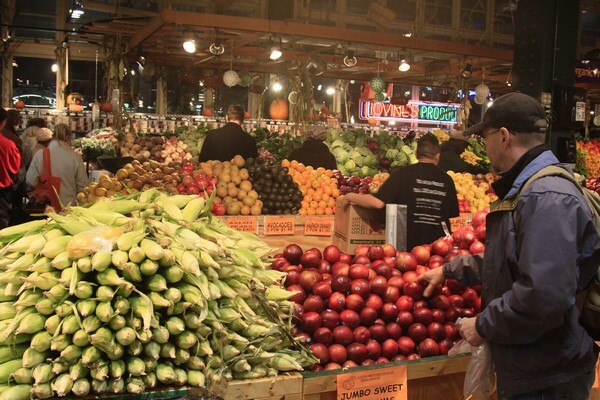 The Reading Terminal Market (in Philadelphia for you out-of-area readers) is a great place to visit any time but it seemed busier, warmer, and more colorful on this chilly Saturday afternoon. 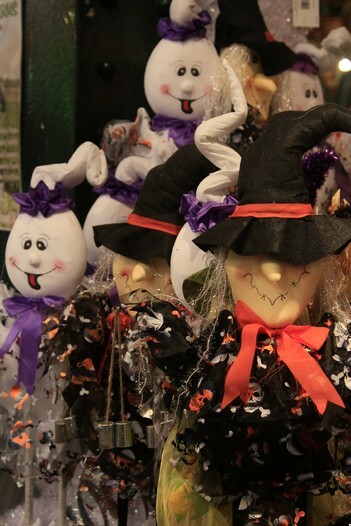 Here were some Halloween decorations that one could take home. For a borderline vegetarian this is all very tempting. 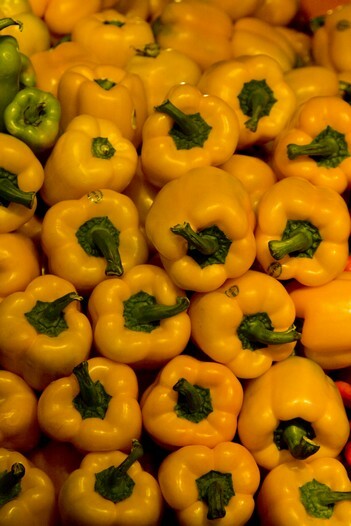 Some yellow peppers stacked up. They looked like off-color miniature pumpkins. 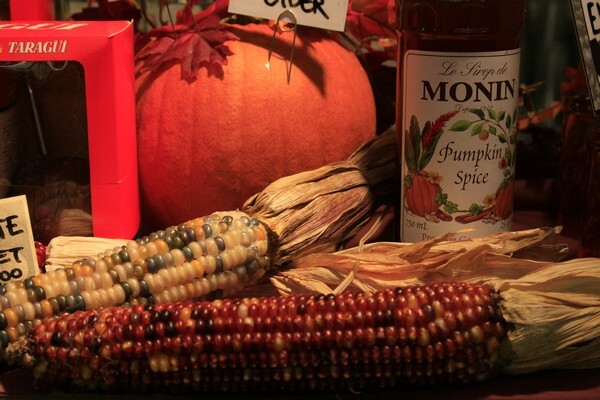 A pumpkin, some pumpkin spice, and Indian corn. Must be fall.